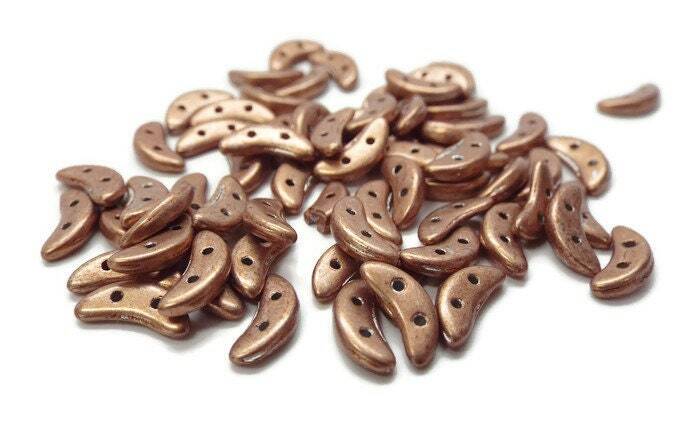 CzechMates® two hole Czech Crescent beads are a modern bead in a crescent shape. They measure 10mm x 3mm. The shiny matte metallic tan finish make for a perfect blend with crescent jewelry designs and a basic that will go with everything. The colors coordinate with other CzechMates beads, such as super duos. You will receive 10 grams, or approximately 80 beads.